Encourage companies across the country that make things as varied as batteries, blenders, generators, stereos, circuit boards, and vacuums to switch to your business for their supply needs when you market your products using this electrical equipment manufacturers email list. Beat the competition to the inboxes of your target audience with this electronic device manufacturer email database! Our comprehensive pre-built electrical equipment production mailing list includes everything you need to start forming new relationships with important B2B sales leads at companies that make things that generate, store, move, or use electricity. Buy this email marketing list to empower your sales team with the real names, job titles, company details, mailing addresses, email addresses, and phone numbers of key contacts who could become new customers. For a more focused marketing campaign, this electronics manufacturing mailing list might not be for you, but we can still help you get the verified business database that you need. 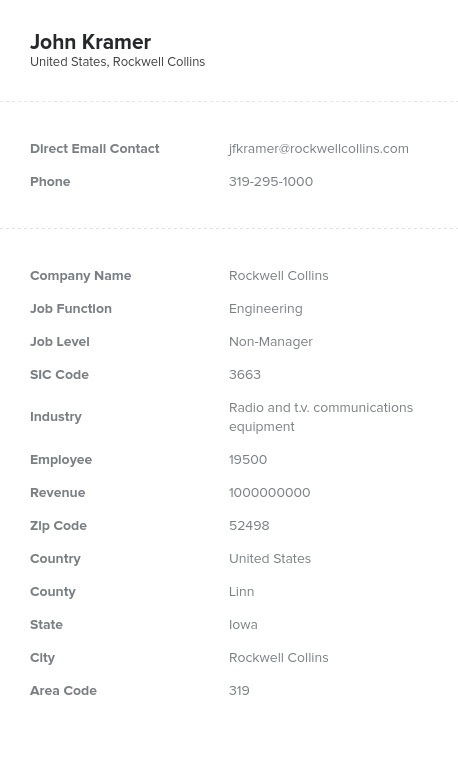 Just use our list-builder tool to build a customized business list, filtering contacts by location, company size, job title, or specific industry. If you want to reach out to just C-level executives at cell phone companies or makers of transformers at the largest companies in the industry, you can find them all here. No matter which premium bulk email list you choose, our deliverability guarantee ensures that you'll get what you paid for: quality, usable contacts that are double-checked routinely to make sure that they are accurate. Get the best business mailing lists you can find with Bookyourdata.com!